With just over a day till the end of its kickstarter campaign, the remake of Shadowgate has reached its goal. Looks like we’ll be crashing the evil warlock’s party before the end of next year. Currently sitting at $123,000, the first goal to reach for is $130,000 – The Towers, a new section to the castle, bringing with it new puzzles and rooms to explore. At $140,000 the Catacobs are added, again, more rooms, more puzzles. Then, the last, $150,000: the game will be ported to the Ouya console. We interviewed Dave Marsh, one of the series’ original creators not two weeks ago. 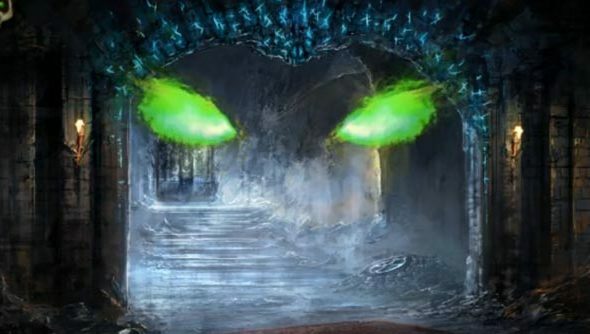 Have a read and be excited that Shadowgate’s getting made, again. You can read more about the game on its Kickstarter, you’ve 35 hours of pledging timeleft.